Movies are great. They are one of our stress relievers especially when we can get them for free. Since it is not practical to always pay for subscriptions or buy movie tickets, there are apps for Android phones that offers free movies. They may have incomplete compilations, but you can still choose from various categories to watch. To give you choices, we made our own list of apps that offer free movies for us to watch and enjoy in our home. Keep on reading and we’ll give you the choices in just a few seconds. You can download them and install on your Android device free of charge also. Here’s the list of Android apps to stream your favourite movies. Some of them are available in Google Play Store, so grab your phone and start to watch from a wide array of shows. 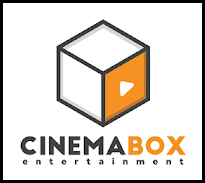 Cinema Box allows you to watch new movies and TV shows. Listening to music and downloading wallpapers are added to its features. The movies you want to watch can be added to your favourites so you can access them later. You can get the Cinema Box in Google Play Store. Choose from thousands of movies and TV series for free with Tubi. It is legal and allows unlimited streaming without any subscription required. New movies and series are added weekly so you can have a variety of selection to choose from. Tubi is available in Android official app store. One of the best online streaming apps for Android is Mobdro. It has a huge compilation of shows which you can enjoy with just a few restrictions. Mobdro allows its users to download the movies to enjoy them offline. Although Mobdro is not available in Google Play Store because it has the capability to stream pirated contents, you can still get it from its official page. Kodi is an open-source platform which can be updated by anyone who has an expertise in this platform. Aside from the wide array of movies to stream on Kodi, it is also one of the best video players for Android device. Kodi is available in Google Play Store. iflix offers a massive library of movies and shows to stream. You can download movies and watch it offline for up to 30 days. Subtitles are available in different languages such as English, Malay, Thai, and many more. Get iflix in Google Play Store for free. These are the apps that we have included on our list of applications to stream and enjoy free movies on your Android phones. There are actually many of them. So if you know other free streaming apps that we did not mention here, you can drop them down in the comment box below. You can also watch them on your PC using any Android emulator you know. If you have questions and suggestions, do not hesitate to ask us. We are glad to help you with whatever we can. If your computer system is connected to the IPv6 to access the internet, then you have made your internet access future-proof. But even modern devices can still fail sometimes. And just like the old IPv4, the IPv6 can get no network access on Windows 10. The IPv6 protocol has been around for decades. While it is considered the next generation of internet access, IPv4 is not about to go away anytime soon. In fact, the majority of computers around the world are still reliant on IPv6. Add to the fact that internet service providers or ISPs still support IPv4. So if you belong to the few that uses the IPv6 connection, you would be having a slight difficulty when your connection is suddenly lost. There is not much support for IPv6 issues yet. But few still mean that there are some. So this article is where the few stands out. If you are an IPv6 or your computer system uses an IPv6 connection, this article is your solution. We will fix the IPv6 no network access on your Windows 10. Since we are talking about a solution for Windows 10, the approach would be a lot easier. You see Windows 10 has created some shortcuts to previous Windows services that are usually some commands away. Let’s start. The first thing we should do is to access the Command Prompt (Admin) or the Windows PowerShell (Admin). To do this, hover your mouse on the Windows Start menu icon and right-click to show the list of Windows services available behind it. You should see the Command Prompt (Admin) or the Windows PowerShell (Admin) in there, click on it to launch the command window. On the command window, type netsh winsock reset catalog and press Enter key. Then type netsh int ipv6 reset reset.log and press the Enter key again. Now the issue should be fixed by now. To check and make sure that these commands have taken effect you may close the command window now and restart your computer. As soon as the computer reboots, check your internet if it is functional already. Sometimes the problem is just as simple as an outdated network driver or a faulty one. It could be that a recent automatic update failed or that some of your recent operations damaged the network driver entirely. If this is the case, here is what you should do. Put your mouse on the Windows Start menu icon and right-click again. Find the Device Manager and click on it. On the Device Manager window, you should see the Network Adapters. Click on it to see your current and installed Network Adapter. If you have multiple network hardware, choose the one you are currently using and right-click to see available actions that you can do with it. Choose Uninstall. When prompted to delete the driver software, check on it and continue with the uninstallation. Close the Device Manager window and restart your PC. Now you will need a separate laptop, PC, or device that can access the internet and download as well to download a new driver for your network adapter. Go to your network hardware manufacturer’s official website and get a new and updated driver version for it. If you don’t know what your network driver’s manufacturer is then you should download the Snappy Driver downloader and it will download what you need. Use the downloaded driver and install it on your PC. After the installation, do a full reboot and your problem should be fixed. Sometimes it is the simple things that make the issue and conflict. So we will also try this method just in case the previous methods don’t work. On the blank box, type services.msc and press the ENTER KEY. On the Services window, scroll down and look for the IP Helper. Right-click on it and hit Properties. On the new window, choose the General tab. Look for the Startup Type and you should see the Automatic. Click on it and choose Disabled. On the IP Helper, right-click again and this time choose Stop. Close the Services window and restart your PC. When Windows OS has rebooted, the IPv6 connection should now function normally. IPv6 and IPv4 are similar in terms of giving you internet access. The difference is that the IPv6 is much bigger and broader with its number of IP addresses. Plus it is much more stable and more reliable. It just so happen that it has not caught up yet. One biggest reason is that the majority of devices and ISP included still relies on IPv4. So fixing IPv6 should be similar to how you fix IPv4. Just to make sure that the issue is not as difficult as we assume, go to Ethernet Properties and make sure that the IPv6 checkbox is ticked. It would be such a waste if the problem was just it all along. In case you do not know how to see the Ethernet Properties, press Windows key + R and hit Enter key. On the Run window, type NCPA.CPL and press Enter key again. On the Network Connections window, double-click your network adapter to launch the Ethernet Status. Below that is the Ethernet Properties. Click on it and then scroll down to see if IPv6 has a ticked checkbox. If you have more questions about this article’s topic feel free to leave us a message in the comment section. We will try to answer them as soon as possible. You can also leave some suggestions for our next topic. It could be something related to this one or entirely a new one. And please do share this article with your friends and relatives if they experience the same issue with their internet connection. If you have a new DSL internet connection but with only one LAN port and you have a NETGEAR router that has four LAN ports that you can use for multiple devices you found the right page to set it up. In this article, we will tell you how to fix your NETGEAR router setup to work with your new DSL modem. Here is how you can configure your computer, NETGEAR router, and your DSL modems in just one go. Try to follow the exact instruction so you will not end up confused as to why there is still no internet access. Start with all your devices turned off. That includes your PC or laptop, the NETGEAR router, and the modem. Connect all the necessary LAN cables to connect the three devices. Plug in one LAN cable from the modem going to the NETGEAR router internet port. Then connect another LAN cable from one of NETGEAR router’s LAN port to the computer or laptops LAN port. When everything is properly connected, you may now switch on the modem, the NETGEAR router, and the PC or laptop. As soon as they all boot up, open your web browser. You can use any web browser that you have such as Google Chrome, Mozilla Firefox, Opera browser or even Internet Explorer. On the web browser, type the IP address http://192.168.l.l or if that does not work, try http://192.168.0.1 to connect to the NETGEAR router login page. Since you are required to login before you can access the administrator page, type admin as your username and password as your default password. Note that the username and password are case-sensitive so make sure that they are all in small letters. If in case the default username and password will not work, then you or someone else has probably changed the login details. In this case, you will need to do a factory reset for the NETGEAR router setup. To do this, make sure that the NETGEAR router is still turned on. Then at the back of the router among the LAN ports, you will find a small pinhole. Use a paper clip to press and hold on that hole for about at least 7 seconds. The device will now reboot and as soon as it is fully working, you may now try again to do number 5 and 6. In the NETGEAR router setup interface, click on the Setup Wizard. Remember that the wizard can automatically detect your internet connection. So just tick Yes and click Next. Since we are connecting to an internet connection, normally it will display Dynamic IP Detected. Just click Next again. You do not have to change any settings that are already served by the NETGEAR Smart Wizard. That is unless you are an advanced user and you already know what you’re doing. Save the settings and open a new tab in your browser. Test the internet if it is already accessible by entering any website address that you have in mind like YouTube and Facebook. That should be all. I hope this article has been helpful for you. If you have other concerns, feel free to live your questions in the comment section down below. The Kik app has been one of the most wanted messaging apps in the mobile world. It combines the old-school style of messaging and also modern technology to bring you a secure and easy to use user interface. But now that Kik is not just exclusive to mobile and smartphone devices, there are more reasons for you to enjoy this messaging app anywhere. You can download Kik for PC now in an easy method. The Kik app is a messaging app that is available for both Android and iOS. It is a freeware app so you can use it without spending a dime. It only uses your data or Wi-Fi connection to be able to send and receive messages, pictures, videos, and even web pages. How to install Kik on your Windows device? Installing the Kik app on your Windows device is as easy as a pie. You do not need to bypass anything in your system or any part of the Kik homepage. All you need to install is an emulator just to do this. Just prepare your PC, some extra storage, and a decent internet connection. To start, open your Windows machine. Launch your internet browsers like Google Chrome or Mozilla Firefox. Download BlueStacks to your PC’s local storage. Once installed, launch it and open the Google Play Store. Search for Kik on the search bar. Tap to install the messaging app. Once installed, you can now use Kik on your PC. Kik messaging app is not suitable for children. It has no protection for kids. And since the Kik messaging app has no security against online anonymity, it is highly advised that you don’t let your kids use this app.